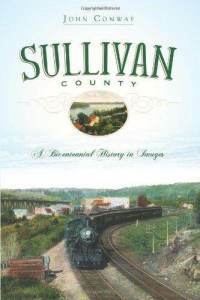 First inhabited by the Lenape Indians and settled by European colonists in the seventeenth century, New York's Sullivan County has experienced several ages of prosperity and growth over the last two hundred years. Locals conceived of timber rafting in the eighteenth century to support the shipbuilding industry, followed by a prosperous tanning boom in the nineteenth century that supplied leather to the Union army. Finally, two periods of tourism, known as the Silver Age and Golden Age, capitalized on the area's fresh air, clean water and magnificent scenery. In this collection of images, local author and county historian John Conway provides a comprehensive look at this much-celebrated region.